"Everything done today by the British government is absolutely unacceptable and we consider this a provocation,” Ambassador Alexander Yakovenko said. He reiterated Moscow’s position on the issue that any complaints about a suspected use of chemical weapons should be handled through the Organization for the Prohibition of Chemical Weapons, which has rules on how to deal with such allegations. The UK instead chose to issue a public ultimatum to Russia. On Monday, Prime Minister May told the British parliament that the alleged poisoning of Sergei Skripal involved a nerve agent developed by the Soviet Union. She reasoned that either the Russian government was responsible for the attack or that Russia had lost possession of some of the toxin. May gave Russia until Wednesday to respond to the accusations, saying that Britain would otherwise consider Moscow responsible for the incident. Russian Foreign Minister Sergey Lavrov responded on Tuesday, saying the OPCW should be handling the allegations against Russia, and that Moscow would have 10 days to respond to a request sent through the organization. 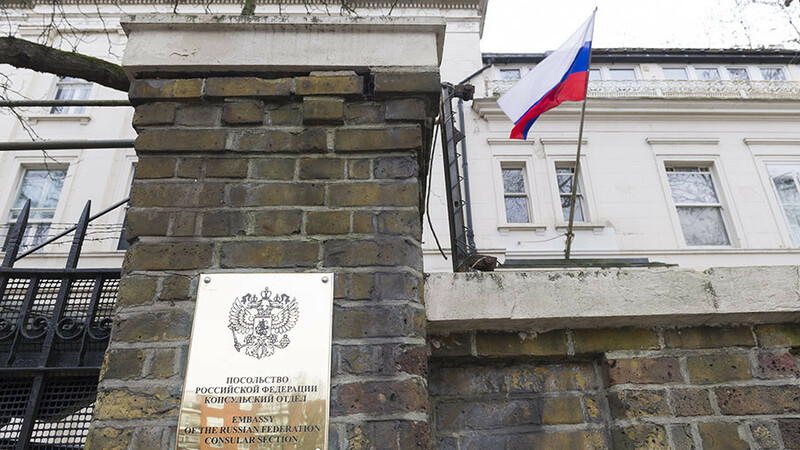 He added that Britain had yet to provide Russia with a sample of the agent used in the alleged attack, which it was obliged to do under the OPCW rules. The Kremlin said it would not accept groundless threats and ultimatums from London. On Wednesday, the British prime minister delivered on her threat and announced a number of measures in response to what London now considers an unlawful use of force by Russia. These include the expulsion of 23 Russian diplomats, additional sanctions, and the freezing of assets that may pose a threat to Britain’s security. The situation is to be discussed later at a UN Security Council session in New York.